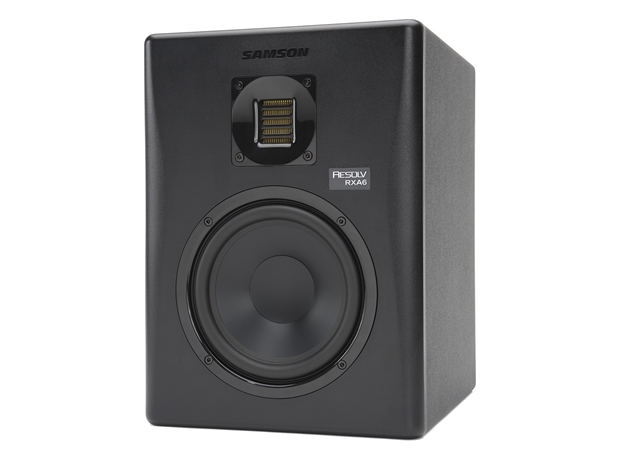 Samson’s Resolv RXA 2-Way Active Studio Reference Monitors deliver the sonic elements that are essential to any studio setup. Featuring Samson’s newly developed Air Displacement Ribbon TweetersTM, these monitors produce smooth, natural mixes that will sound great on any system. Sold individually in 5-inch and 6-inch models, Resolv RXA monitors can be used in pairs to provide precise stereo imaging for recording, mixing, mastering and other multimedia applications. RESOLVRXA6 Monitor, Power Lead and Manual.